In stock 244 items in stock. 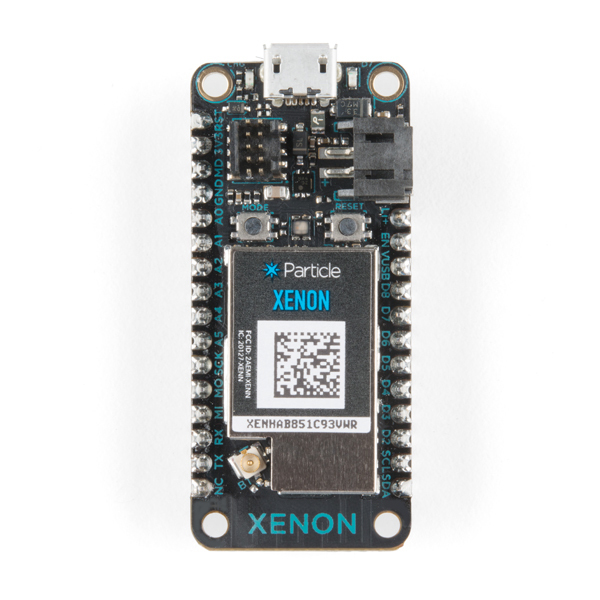 This IoT development kit from Particle includes the Xenon development board, a mini breadboard, and a USB cable. 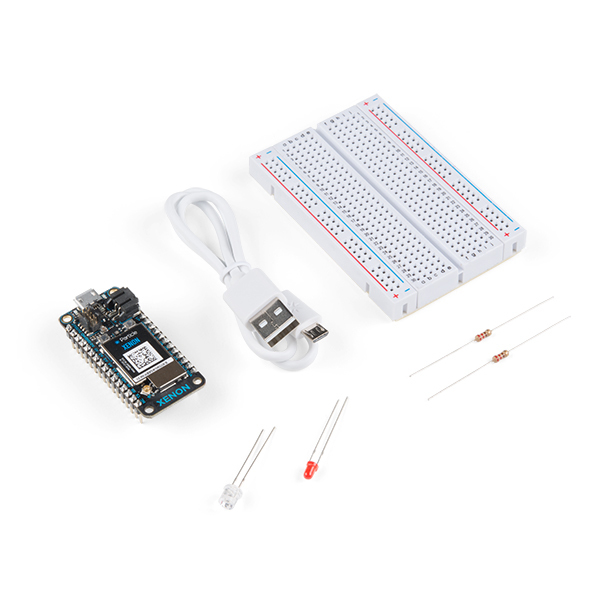 The starter project includes two resistors of 220Ω, one red LED, and one photodiode. 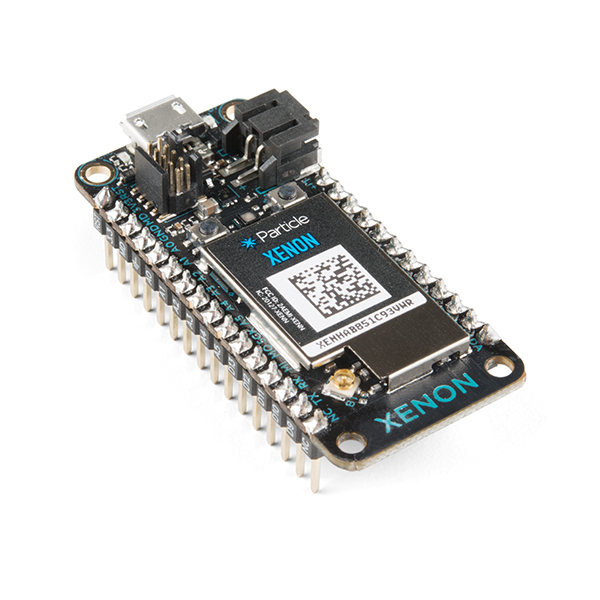 The Xenon is also configured in the popular Feather footprint and so is compatible with Feather Shields! 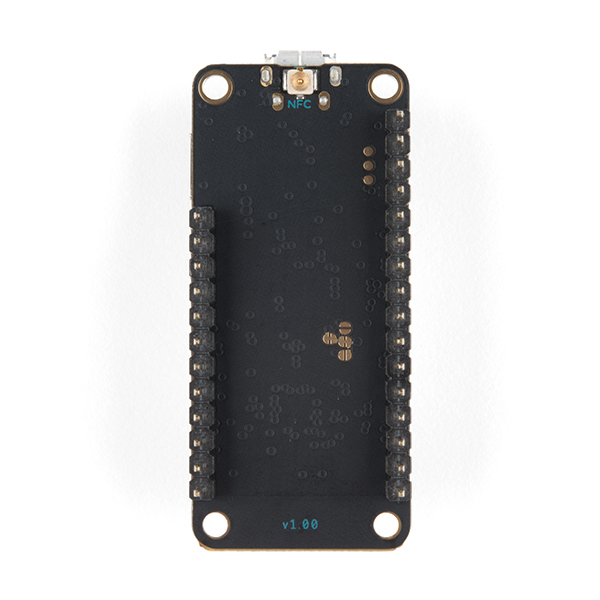 This includes a JST connector for a Li-po battery as well as charging of the battery over USB. 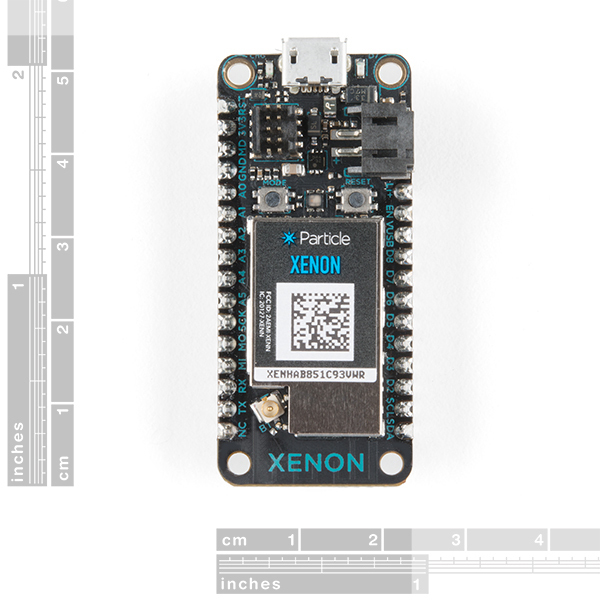 Particle also provides an RGB status LED and a JTAG (SWD) connector for debugging and an onboard PCB antenna for your mesh network.